You're a wizard, Harry. 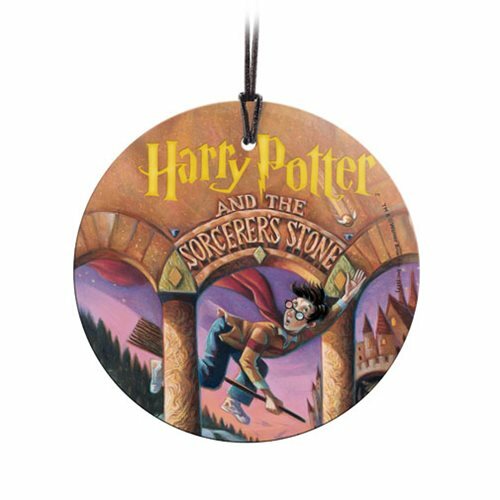 Relive the first moments we met the wizards and muggles that would become such a big part of our world with this 3 1/2-inch diameter Harry Potter The Sorcerer's Stone StarFire Prints Hanging Glass Ornament featuring the art of the book cover for Harry Potter and the Sorcerer's Stone! Translucent yet vibrant with color, the light-catching properties of the glass ornament illuminate the image and make for a perfect Christmas tree ornament or year-round décor, and it comes with a hanging string for easy display.